The trench floors are littered with cigarette papers, match boxes, and tinned food all left behind in the hurried retreat. Corrugated iron sheets have been thrown together haphazardly to create rude bunkers along the line, inside which we see more empty food packets and further signs of a hastily-beaten evacuation. The only dismounted soldier stands directly behind a solitary grave marked with a white cross. 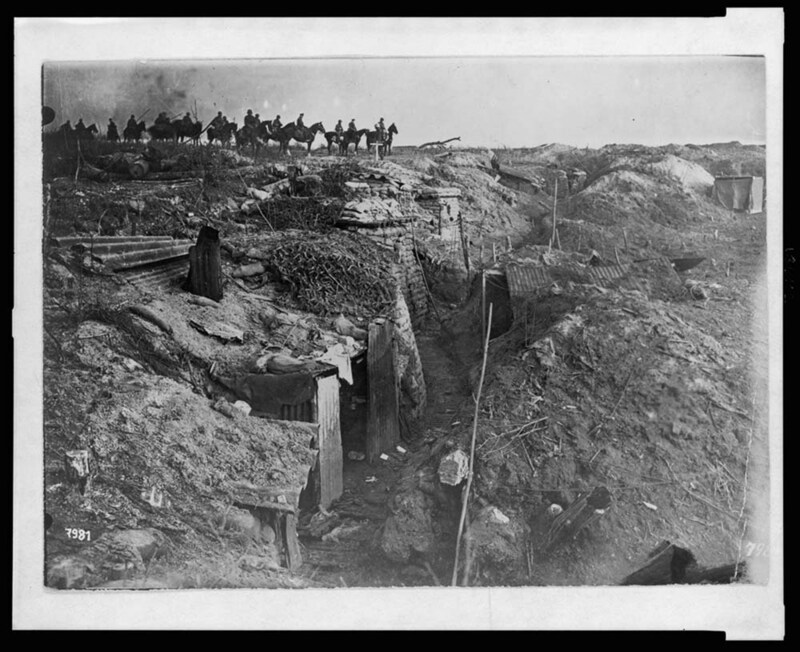 While the ghostly, blurred German soldiers approaching on horseback and those who have just arrived all face the captured trench in preparation of crossing, this man alone faces the German line, perhaps reflecting the successful advance. Not instantly noticeable, his presence provides a contrast in the image’s direction of movement, which comes to a stand-still at him and the little grave. Great photo, but the caption in your magazine is incorrect. The date should be 1918, not 1914 (the soldiers are are wearing steel helments) and was probably taken during the offensives that began in March 1918. The troops are not mounted infantry, but cavalry as can be seen by the lances they are carrying. Still a suberb photo though – tighten up your photographic research!